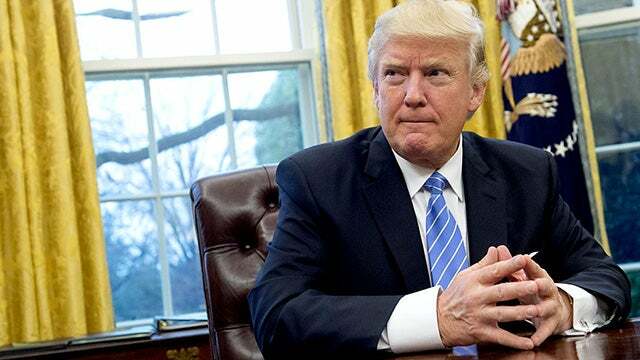 RUSH: Has anybody yet in the Drive-By Media blamed Trump for the attack in the Netherlands? What do you mean, "What attack in the Netherlands?" Well, see, this is my point. Is the Drive-By Media even covering the attack in the Netherlands? Probably not. The perp is a Muslim. And when the perpetrator of a mass shooting is a Muslim, it isn't news anymore. 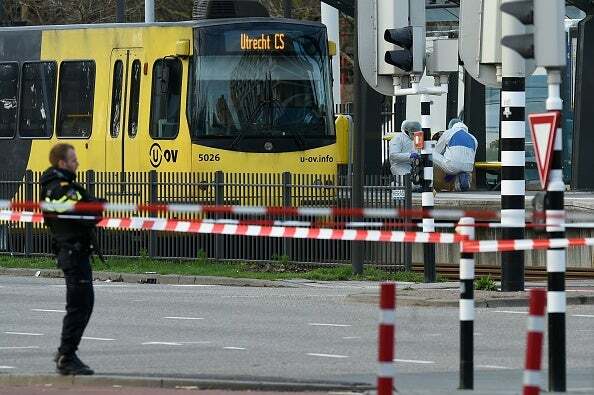 For those of you who have not heard about this latest terror attack, “Dutch police say they are seeking 37-year-old Turkish man who they suspect of shooting three people to death and wounding nine others on a train in the Dutch city of Utrecht.” Ho-hum, this isn't news. At least Trump hasn't been blamed. “The Fulani jihadists, who have become a greater threat to Nigerian Christians than the Islamist terror group Boko Haram,” stormed a bunch of villages last Monday, “destroying 143 homes, killing 52 people, and wounding dozens more.” And nobody's saying anything about it because it's 150 Christians that have been slaughtered, so it isn’t news. And it's a bunch of Muslim terrorists doing the slaughtering in the Netherlands and in Nigeria and you can hear crickets. Not a bit of news. And only now, ladies and gentlemen, is there starting to be any news coverage of the devastating floods in Nebraska from that weather event that happened last week. Because it's the heartland, because it's Nebraska, there wasn't any news about it whatsoever. So Christians could be mass murdered, doesn't matter where. I mean, Nigeria, New Zealand, whatever, it's not the United States. So 50 Muslims attacked in New Zealand, it's the story of the week and it's ongoing. The media continuing to try to blame Donald Trump. CNN International is even trying to claim that I said it didn't happen, while they continue to try to blame Trump for it. RUSH: During the event where Trump actually formally vetoed the bill, a reporter asked him about New Zealand, the shooting there. The reporter said, "Now, the killer in this tragic incident wrote a manifesto, apparently. Did you see that? Apparently, the shooter mentioned your name, sir!" THE PRESIDENT: I think it's a horrible event. It's a horrible thing. I said early in the morning when I looked at what was happening in New Zealand -- I just spoke, as you know, with the prime minister -- I think it's a horrible, disgraceful thing, and a horrible act. RUSH: Now, the next sound bite is what set them off. Trump said that he doesn't think white nationalism is on the rise. A reporter asked, "Do you see today white nationalism as a rising threat around the world?" THE PRESIDENT: I don't really. I think it's a small group of people that have very, very serious problems. I guess if you look at what happened in New Zealand, perhaps that's a case. I don't know enough about it yet. They're just learning about the person and the people involved. But it's certainly a terrible thing. RUSH: Okay. So he's asked specifically, "Do you think that New Zealand is a sign that white nationalism is a rising threat around the world?" You heard Trump's answer. That just set 'em off in the Drive-By Media and throughout the Democrat Party. CORY BOOKER: (background noise) We have a president can't even condemn Nazis? MEHDI HASAN: When the shooter or bomber is a Muslim, they're scum, they're animals, they're evil. When it’s a white nationalist? Doesn’t say anything. FREDRICKA WHITFIELD: People are looking to the world's most powerful leader to condemn what took place. BORIS SANCHEZ: He didn't explicitly condemn Islamophobia! RUSH: Did the president not condemn it? You heard him. The president condemned it, spoke out against it. In fact, this demand that you condemn something like this is a trap in and of itself. There isn't a rational person alive that supports what happened. There's not a rational person alive that wants to excuse what happened. There's not a rational person alive that supports what happened. So to demand that Trump condemn it after he did condemn it... But he didn't go far enough because he didn't condemn white nationalism. He didn't blame white nationalism. So here we go with a classic example. The left and the media get it in their heads that everybody -- everybody -- thinks white nationalism is the biggest problem in the country and that it's on the rise. That's just a given, and if you don't agree and you don't join that fracas -- if you don't join that chorus -- then you must be a white nationalist. The irrationality here is all on the part of the Democrats and these lunatics in the media! Demanding that something like this be condemned, and then when the condemnation comes, to say that it's not sufficient because he didn't then condemn white nationalism? Just because he doesn't do what they say makes him a white nationalist? This kind of irrationality to even demand a condemnation... When you demand that somebody condemn this, what are you saying about them? You're saying that you think they may not have a problem with it. "So I demand that you condemn this!" These are the same people that say, "I don't care about your hopes and prayers. Your hopes and prayers don't mean diddly-squat. Your hopes and prayers don't do anything for anybody." Well, what the hell does condemning something like this do for anybody when every rational person alive condemns it -- and what good does condemning it do anyway? If hopes and prayers and thoughts are irrelevant, then what the hell is a condemnation? Is condemning this gonna make sure the next one doesn't happen again? Is condemning this going to so shame the perpetrator that he's going to beg forgiveness and ask everybody to do whatever they want with him? They feel so bad. What good is a condemnation? This is nothing more than another liberal political tool to try to characterize and hammer their opponents -- and it's always a trap. RUSH: We're gonna start now in Pittsburgh. This is Joyce. Welcome. Great to have you. Hi. CALLER: There you go. Well, Rush, what I find totally ironic is that the left is yelling that the right are the Nazis and the white supremacists, while they cannot even stand up and won't vote against their anti-Semites like Ilhan Omar and Rashida Tlaib. RUSH: Yeah, but, no, no. I would call that discipline. I would call that party discipline. Look, they have one great ally, and that is the media. The media's not gonna call 'em out on their hypocrisy. 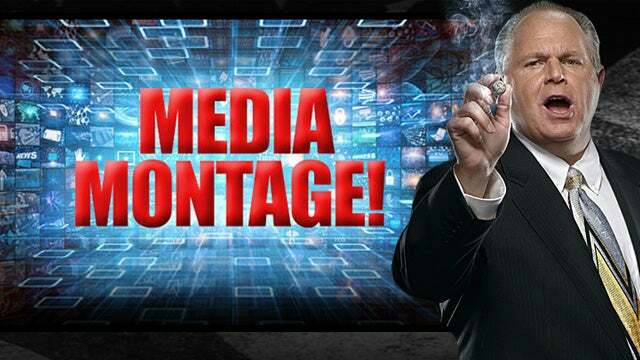 The media's not gonna call 'em out on their phoniness. So they've got a couple blatant anti-Semites. They've got more than two. They've got more than two anti-Semites. They're gonna cover it up. RUSH: They're gonna deflect it. They're not gonna move on it -- and that, I would call, party discipline. They're protecting their own, and they're doing everything they can to avoid any kind of label being attached to the party. Contrast that with Republicans. The moment such an allegation is made, what do Republicans do? 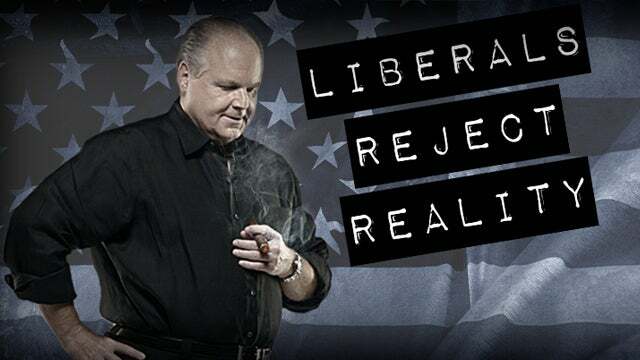 RUSH: They agree with it and they apologize and start condemning whoever it is the media is attacking, under the belief that the media will respect them -- and it never works out that way. The only guy that reacts to this stuff the way the Democrats react to their own is Donald Trump. CALLER: That's right. Well, they won't even cover the 150 Christians have been murdered in Africa. RUSH: Of course not, because it doesn't fit the narrative that "Muslims are under assault by white people all over the world."